Congratulations! What a great acheivement. You must be very proud and deservedly so. 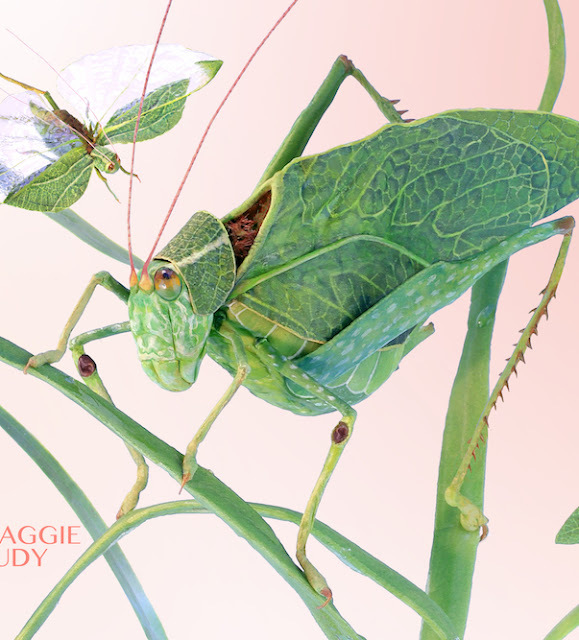 I love katydids too. as much for their name and their green~ness as anything! Congratulations Maggie! How exciting! He is wonderful! Maggie, the breadth of your creativity is boundless! What a lovely illustration. It's always exciting to check into your blog and see your latest adventure.